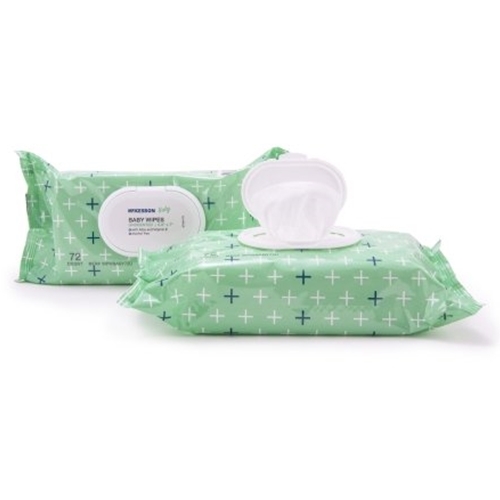 McKesson Baby Wipes with Aloe and Vitamin E from HealthyKin.com are extra-strong, yet soft and convenient for a variety of cleanup jobs during diaper changing time, feeding time or playtime. The moist wipes work like strong, fluffy washcloths and help soothe and soften baby's skin. Aloe Vera and Vitamin E help to keep baby's skin soft and smooth. Pretty good price, but they're relatively thin. I've found stronger, cheaper ones that are slightly smaller in local stores. We’ve tried all types and believe it or not these are the best ones by far!